2014 Scrap BBQ Sculpture Contest is here!!! If you’re a member on our forums, better get started! You won’t want to miss this one! We are having a contest on our forums for the best BBQ Related sculpture you can build outta your scrap pile! Use anything, Build anything as long as it has a useable BBQ purpose. So here’s the new contest…. Ya gotta build a sculpture from the scrap pile at your shop. here are some rules…. you gotta be able to hold it in your arms without it touching the ground. ya gotta be able to carry it by yourself. 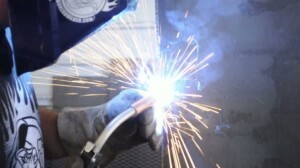 must be welded. or at least some of it does. We want you to try and get a pic of yourself welding on it. [*]To be officially in the contest you must post your thread here in this forum before the contest begins. We are gonna have a Grand Champion and a Reserve Grand Champion! So there will be 2 prizes! 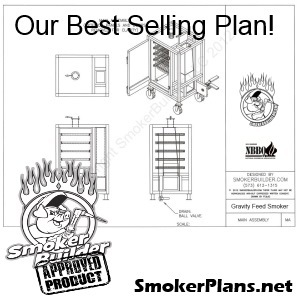 New- Mini Gravity Feed Smoker Plans DXF CNC CAD files included!! !